Plugins and themes are usually released in GPLv2 or later. Prices and products can change at our discretion. We require you to share personal information such as name and email to create user accounts, send newsletters and transactional emails(password resets etc). 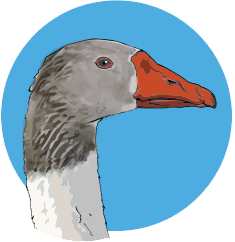 Support is provided mainly through the documentation at https://goose.community unless otherwise specified. We offer 30 days refunds from purchase date. We may ask why you want a refund to better help with our services. These Terms and Conditions (“Terms”, “Terms and Conditions”) govern your relationship with cyonitesystems.com, goose.studio, artofwp.com, goose.community and our digital products, services, themes/plugins (the “Service” and “Digital Goods”) operated by Cyonite Systems(“us”, “we”, or “our”) under brand names such as Goose Studio and ArtOfWP. Digital products, themes and plugins (“Digital Goods”) are usually released under GNU Public License, version 2 or GNU Public License, Version 3. Please read these Terms and Conditions and the for mentioned licenses carefully before using the Service and purchasing our Digital Goods. Your access to and use of the Service is conditioned on your acceptance of and compliance with these Terms. These Terms apply to all visitors, users and others who access or use the Service. If you wish to purchase any product or service made available through the Service (“Purchase”), you may be asked to supply certain information relevant to your Purchase including, without limitation, your credit card number, the expiration date of your credit card, your billing address, and your shipping information. Cyonite Systems use third party services, including but not limited too SendOwl and Stripe, to handle payments. We do not store any credit card information ourselves. We reserve the right to modify or discontinue, temporarily or permanently, any product, any service, any service subscription, product feature and any support license type without notice. Prices of all products are subject to change, in the our sole discretion. Notice of price changes will be published on the then-applicable purchase site. All license key(s) provided for the Digital Goods and Services is confidential. Licensee agrees to maintain this confidentiality and shall immediately notify Licensor(Cyonite Systems) in the event the confidentiality is breached. Posting the license key publicly on the internet, including but not limited to our forums, may result in termination of this Agreement by us. License keys are used to enable automatic updates, support and other services. By uploading and activating our Digital Goods you will provide us with information regarding your site such as your website address and IP. When you create an account with us you must provide us information that is accurate, complete, and current at all times. Failure to do so constitutes a breach of the Terms, which may result in immediate termination of your account on our Service. Automatic account creation(an account is usually created for you upon purchase of digital goods or service to enable easy access to the digital goods or service) uses the personal information you provided during purchase including but not limited to firstname, lastname and email. We issue refunds for digital products within 30 days of the original purchase of the product. We recommend contacting us for assistance if you experience any issues receiving, downloading or installing our products. The Service and its original content (excluding Content provided by users), features and functionality are and will remain the exclusive property of Cyonite Systems and its licensors. The Service is protected by copyright, trademark, and other laws of both the Sweden and foreign countries. Our trademarks and trade dress may not be used in connection with any product or service without the prior written consent of Cyonite Systems. You acknowledge and agree that the Digital Goods are provided under license, and not sold, to you. You do not acquire any ownership interest in the digital goods under these Terms, or any other rights thereto other than to use them in accordance with the license granted, and subject to all terms, conditions and restrictions, under these Terms. We shall retain its entire right, title and interest in and to any owned portions of the digital goods, including all copyrights, trademarks and other intellectual property rights therein or relating thereto, except as expressly granted to you in this Agreement. All other portions of the digital goods, including source code, are provided pursuant to the GNU Public License, Version 2.0 or later version. Our Service may contain links to third-party web sites or services that are not owned or controlled by Cyonite Systems. Cyonite Systems has no control over, and assumes no responsibility for, the content, privacy policies, or practices of any third party web sites or services. You further acknowledge and agree that Cyonite Systems shall not be responsible or liable, directly or indirectly, for any damage or loss caused or alleged to be caused by or in connection with use of or reliance on any such content, goods or services available on or through any such web sites or services. We strongly advise you to read the terms and conditions and privacy policies of any third-party web sites or services that you visit. We may terminate or suspend your account immediately, without prior notice or liability, for any reason whatsoever, including without limitation if you breach the Terms. Upon termination, your right to use the Service will immediately cease. If you wish to terminate your account you can contact us. If you wish to terminate a subscription you can contact us. In no event shall Cyonite Systems, nor its directors, employees, partners, agents, suppliers, or affiliates, be liable for any indirect, incidental, special, consequential or punitive damages, including without limitation, loss of profits, data, use, goodwill, or other intangible losses, resulting from (i) your access to or use of or inability to access or use the Service and Digital Goods; (ii) any conduct or content of any third party on the Service and Digital Goods; (iii) any content obtained from the Service and Digital Goods; (iv) any usage of the Digital Goods; and (iv) unauthorized access, use or alteration of your transmissions or content, whether based on warranty, contract, tort (including negligence) or any other legal theory, whether or not we have been informed of the possibility of such damage, and even if a remedy set forth herein is found to have failed of its essential purpose. Your use of the Service and Digital Goods is at your sole risk. The Service and Digital Goods is provided on an “AS IS” and “AS AVAILABLE” basis. The Service and Digital Goods is provided without warranties of any kind, whether express or implied, including, but not limited to, implied warranties of merchantability, fitness for a particular purpose, non-infringement or course of performance. Cyonite Systems its subsidiaries, affiliates, and its licensors do not warrant that a) the Service or Digital Goods will function uninterrupted, secure or available at any particular time or location; b) any errors or defects will be corrected; c) the Service or Digital Goods is free of viruses or other harmful components; or d) the results of using the Service or Digital Goods will meet your requirements. Our failure to enforce any right or provision of these Terms will not be considered a waiver of those rights. If any provision of these Terms is held to be invalid or unenforceable by a court, the remaining provisions of these Terms will remain in effect. These Terms constitute the entire agreement between us regarding our Service and Digital Goods, and supersede and replace any prior agreements we might have between us regarding the Service and Digital Goods. Support is provided mainly through online documentation unless otherwise specified. Some services give you direct access to our support personal. Support inquiries are defined as issues directly related to the Digital Goods or Service including but not limited too bug reports, installation, activation and configuration. Non-support questions relate to customization of Digital Goods or Service including but not limited to feature requests, color changes, font changes, layouts. Digital Goods and Services are provided “AS IS”.